The students, listed as co-authors in the published study, were tasked with reviewing the available literature. After reviewing and editing, Coyle and Callaham published the paper in Soil Biology and Biochemistry. Callaham, who has been studying soil fauna for the past 25 years, noticed a disturbing trend in the scientific literature. Researchers were focusing much more on the microbes in the soil than on any of the other creatures that live in it. 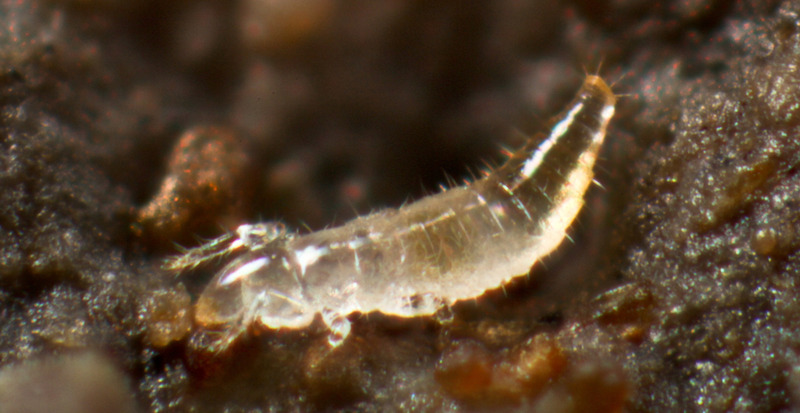 Proturans are tiny (under 2 mm long) invertebrates that inhabit the soil. Nicknamed coneheads, they have no eyes, wings, antennae, or pigment. Photo by Andy Murray. As there are more environmental disturbances and their impacts get bigger, how will soil fauna respond? The study, which offers some answers to this question, splits soil fauna into two categories. Epigeic organisms are those that live on the surface and upper layers of soil (think snails, millipedes, and ground beetles). Endogeic critters (e.g., earthworms and insect larvae) dwell below it. Often, the two responded differently to disturbances. With fire, belowground fauna have an advantage, as the organisms on the surface that can’t retreat to deeper cooler soil die from exposure. Fire also consumes part of their habitats and food resources. 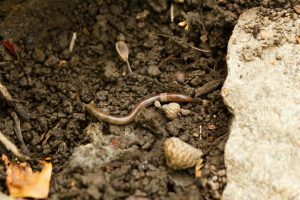 But fire might have some benefit in terms of controlling invasive soil fauna like certain surface-dwelling earthworms – not because it kills a lot of the adult earthworms, but because it harms the viability of their cocoons. 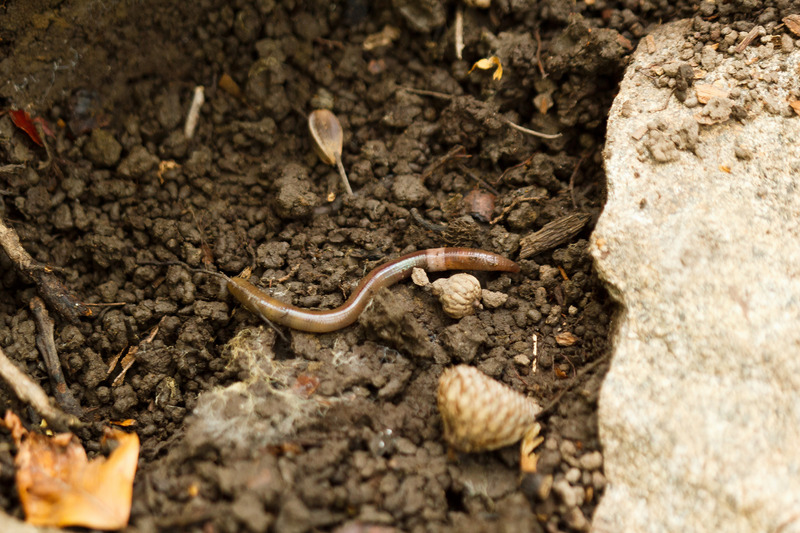 Amynthas agrestis (dubbed the Asian jumping worm) is a surface-dwelling earthworm that hails from East Asia and threatens native communities. Photo by Tom Potterfield. The rather surprising positive effect floods can have on diversity within a species is another avenue to explore. While the abundance of ground beetles, for example, decreased after a flood, species diversity tended to increase. The study goes on to describe more of these impacts, including the various effects of wind, invasive species, and climate change. The findings are often complex and beg many more questions. They highlight the fact that there is still much we don’t know about the creatures that live on and in our soil. Scientists suddenly had access to a host of new, high-tech tools that they’ve been able to use to tackle questions and make advances in microbial ecology. But soil fauna don’t deserve to be sidelined as a result. Why not use those new tools to shine some light on some of these older fauna-microbe interactions as well?